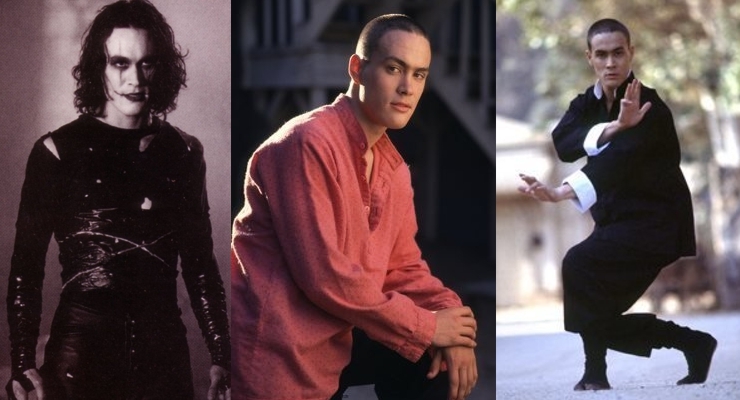 Brandon Lee was born in Oakland, California on February 1, 1965 to the famous martial artist and actor Bruce Lee and Linda Lee Cadwell. In the very early 1970’s the Lee family moved to Hong Kong where Brandon attended La Salle College, the same school his father had attended as a child in 1952. By the time he was 8, Brandon was fluent in Cantonese and had been doing martial with his father since he’d begun walking. Growing up as the child of Bruce Lee exposed Brandon, not only to the martial arts of his father, but also to some of the greatest martial artist of that time. He was also introduced to his father’s friends in the entertainment industry and, at a very early age, knew he wanted to work in front of a camera. Sadly on July 20, 1973, when Brandon was only 8 years old, he lost his father. Soon after, Brandon, his mother, and his sister, Shannon, moved back to Los Angeles. 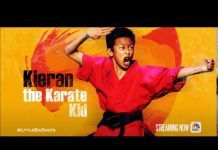 Back in Los Angeles, Brandon began to study martial arts with Dan Inosanto and Richard Bustillo, students of his father’s, who owned the Kali Academy. Brandon attended Chadwick School, but was kicked out of school because of pranks. He then went to Bishop Montgomery High School in Torrance from 1979 to 1980. Brandon received his GED in 1983 at the age of 18, and then studied martial arts and theater at Boston’s art-oriented Emerson College in Massachusetts, like his father had done before him. Within a year, Brandon Lee moved to New York where he studied acting at the Lee Strasberg Theatre and Film Institute. He became part of the American New Theatre group by a friend, John Hancock. In 1985 Brandon returned to Los Angeles and worked as a script reader and had an uncredited role in the film Crime Killer (1985) starring George Pan Andreas. He auditioned for a part in Kung Fu: The Movie and was cast as Chung Wang, the suspected son of Kwai Chang Caine (David Carradine). 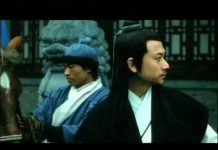 Interesting enough, Brandon’s father was originally considered for the leading role in the Kung Fu TV series. 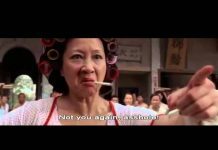 Later that same year, Brandon Lee got his first leading film in the Hong Kong action crime thriller Legacy of Rage, staring with Michael Wong, Regina Kent and Mang Hoi, who was a look-alike for film star Yuen Biao. Legacy of Rage also featured an appearance by Bolo Yeung, who had appeared in Bruce Lee’ film, Enter the Dragon. Legacy of Rage, directed by Ronny Yu, was made in Cantonese and it was the only film Brandon Lee ever made in Hong Kong. His role in Legacy of Rage got him nominated for a Hong Kong Film Award for Best New Performer. In 1987, Brandon starred in the television pilot Kung Fu: The Next Generation which aired on CBS Summer Playhouse. It was another follow-up to the Kung Fu TV series. This story took place in the present day and centered on Johnny Caine (Brandon Lee), the great-grandson of Kwai Chang Caine (David Carradine). The show was never sold. It was in 1988, that Brandon made a guest appearance alongside Pat Morita in an episode of the short-lived American television series Ohara (1987-1988) playing a villainous character named Kenji. In the summer of 1988, Lee also started filming his first English-language B-grade action film, Laser Mission (1988); it was filmed cheaply in South Africa, and was eventually released on the European market in 1990. In 1991, Brandon made his American film debut and his first studio film. He starred opposite Dolph Lundgren in the action film Showdown in Little Tokyo. Brandon then signed a multi-picture deal with 20th Century Fox. 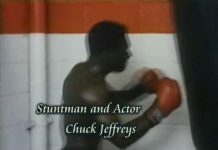 He had his first starring role in the action thriller Rapid Fire 1992, and was scheduled to do two more films for 20th Century Fox. Brandon turned down the starring role in Dragon: The Bruce Lee Story (1993). In 1993 Brandon got the role of Eric Draven in The Crow (1994). The film was based on a popular underground comic book and Brandon was signed to do two sequels to the film. A tragic accident took Brandon’s life when the film crew decided to use a gun without consent from the weapons coordinator, who had gone home for the night. They handed Michael Massee the gun loaded with full power blanks and shot the scene, unaware that a bullet had become dislodged from a previous scene and had lodged itself in the barrel. While shooting the scene, the blank round forced the bullet out the barrel striking Brandon Lee and lodging in his lower spine. Doctors at New Hanover Regional Medical Center worked for five hours attempting to save Brandon’s life, but it was no use. He was pronounced dead at 1:04 P.M. on March 31, 1993. He was only 28 years old. 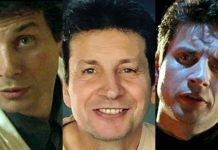 With only eight days left of filming before the movie was to be completed, it was decided by Brandon’s family and the director, Alex Proyas, that the film would be finished as a tribute to Brandon. 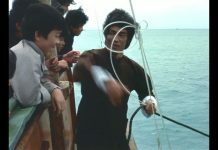 In order to complete the film, Chad Stahelski, a friend of Lee’s from the Inosanto Academy who served as as Brandon’s stunt double, was used as his stand-in and special effects were used to give Chad Lee’s face. Another stunt double, Jeff Cadiente, was also used to complete Brandon’s role in the film. The Crow was released in May 1994 grossing over $50 million in the U.S alone. It was a box office hit. Making the tragedy of Brandon Lee’s death even more heart wrenching was the fact that Brandon Lee was to marry Eliza Hutton on April 17, 1993. Brandon’s body was flown to Seattle to be buried beside his father in Lake View Cemetery. A private funeral was held on April 3, 1993 with only close family and friends and the next day a memorial service was held at the home of actress Polly Bergen in Los Angeles, California. It was attended by over 250 of Brandon’s family, friends and business associates.